If you’ve visited us before, you’ll have seen a copy of our seasonal magazine. Well, we’re delighted to announce the Spring/Summer 2019 issue of Beautiful Hair Magazine has just arrived! 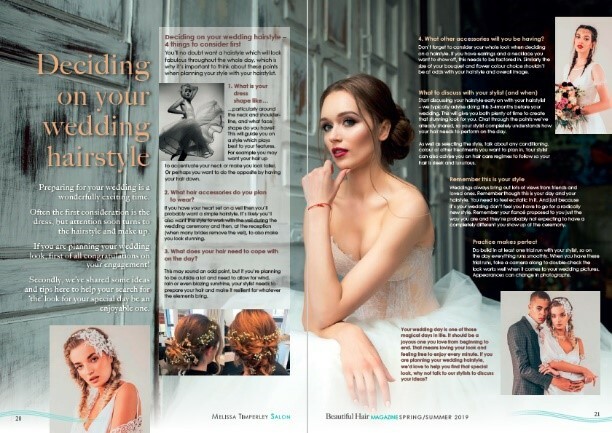 Written and produced entirely by the salon’s team, it has lots of handy hair tips and tricks, plus plenty of inspiration to help you have a great hair day every day. This latest issue has special features on balayage colours for 2019 and chic curly hair styles. Both are packed full of ideas and inspiration. We’ve also highlighted what we are up to individually, and as a team, and have shared updates on our latest shows and awards. Since the Magazine’s last issue, we have four new faces in the team – Jessika, one of our senior stylists; Izzy, our creative new stylist who has joined us from Sassoon (we’re all Sassoon-trained here) and our fabulous front of house team of Georgia and Holly who both work with us on a part-time basis whilst studying. There’s lots to inspire you in the spring and summer months. 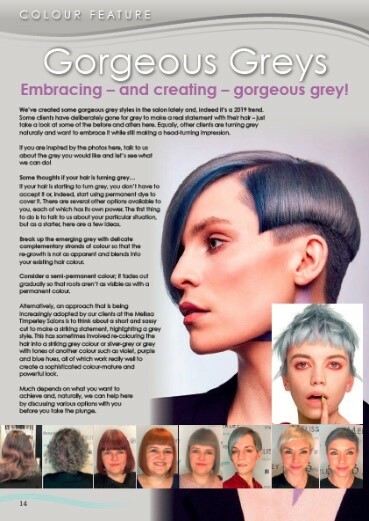 We’ve included latest looks for our male clients, making the most of gorgeous greys in hair colours and fantastic festival ideas. Stop Press: We’re currently on the look-out for a cover model for the Autumn issue of Beautiful Hair Magazine. Click on this link to find out more.